Wendy Padbury narrates a clever Second Doctor adventure set during the 1951 Festival of Britain. It evokes that starry-eyed period when those who had suffered through the darkest days of WWII were determined to put war behind them and build a future of space rockets and flying cars. One guest character, Imogene, encapsulates that hope: a woman scientist labouring in obscurity, unappreciated and ignored. The Doctor, Zoe and Jamie are immediately sympathetic. The plot fits a standard classic Who pattern, but satisfyingly so. What’s delightful about this story is its attention to detail. One can enjoy it as a self-contained piece of fiction, but the setting and events are almost entirely rooted in historical fact. It throws in a few classic Who callbacks for good measure. Plus there’s some thoughtful themes and a dash of moral grey area to make the story more than just a problem-to-solve plot. Since this is expanded universe, it delves into Jamie’s and Zoe’s thoughts and feelings with more depth than TV had time for. Jamie’s musings about Britain’s future are a poignant insight into his character. Short Trips are audiobooks rather than recorded “as live,” but Wendy is a vivid narrator. I’m so used to Frazer voicing Jamie and the Second Doctor, I had no idea how well she could evoke their mannerisms and speech patterns. The British Invasion packs a lot into half an hour. Or rather, forty minutes, since Short Trips keep getting longer! The Festival, dome, skylon and radio telescope on the shot tower were all real. I suspect author Ian Potter mined this short article about the radio telescope for his background research,* right down to the fact that the original plan was to bounce signals off the moon, but the designers instead decided a receiver would be good enough. It’s just as well. I’m not sure they would’ve been able to bounce a coherent signal off the moon until the Apollo missions installed reflectors on the moon’s surface, carefully angling them back at Earth. Even then, it’s tricky to aim a laser at them and get a signal back without all the photons scattering. I doubt whether radio waves would fare any better. Not that it matters, since Imogene was lying about her true purpose, and we can assume there was alien tech or at least alien know-how involved. 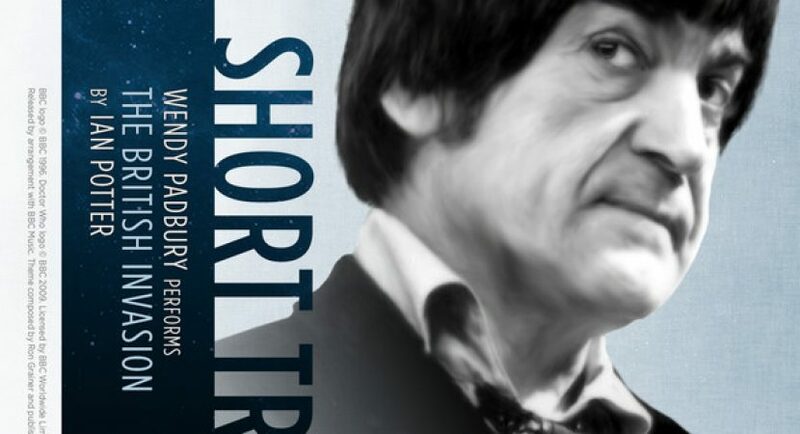 This is a Second Doctor story, but one bit, at least, feels more new Who to me: did the Second Doctor ever deliberately kill a sentient life form in cold blood? He lies to Zoe about it to forestall protests or shield her innocence. Then again, maybe he lied on other occasions as well.